Commuters who travel by train from Brighton and Hove to London face a nine-day shutdown of services from Saturday (February 16). The closure, which has been timed to coincide with February half term, means no direct rail services will run between Brighton and Three Bridges between February 16 and February 24. Rail replacement buses will operate between the two stations, meaning the journey is expected to take an hour longer than usual. 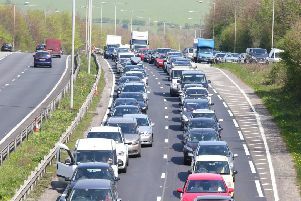 The line between Lewes and Three Bridges will also be closed.